Take a hilarious ride with the Hoovers, one of the most endearingly fractured families in comedy history. Father Richard (Greg Kinnear) is desperately trying to sell his motivational success program... with no success. 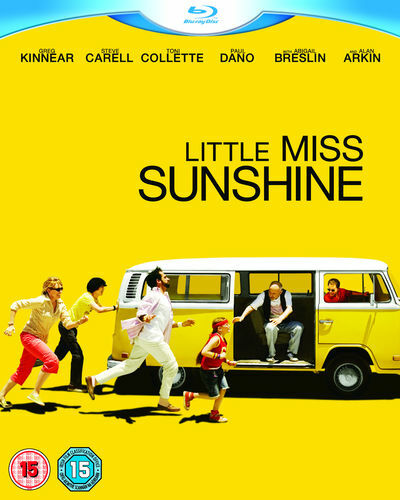 Meanwhile, "pro-honesty" mom Sheryl (Toni Collette) lends support to her eccentric family, including her depressed brother (Steve Carell), fresh out of the hospital after being jilted by his lover. Then there are the younger Hoovers - the seven-year-old, would-be beauty queen Olive (Abigail Breslin) and Dwayne (Paul Dano), a Nietzsche-reading teen who has taken a vow of silence. Topping off the family is the foul-mouthed grandfather (Alan Arkin), whose outrageous behavior recently got him evicted from his retirement home. 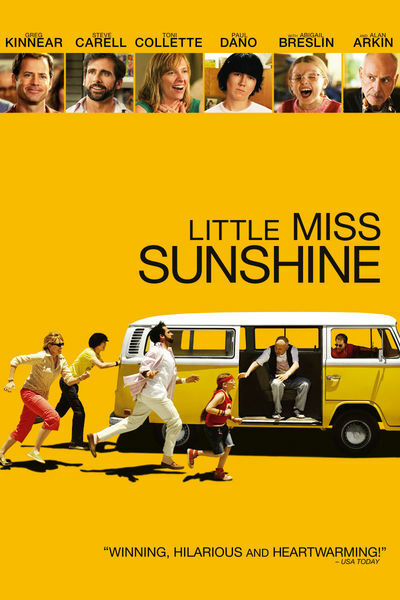 When Olive is invited to compete in the "Little Miss Sunshine" pageant in far-off California, the family piles into their rusted-out VW bus to rally behind her - with riotously funny results. Do You Wanna Talk? *This Is The Gag Scene.